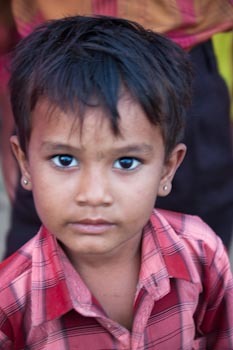 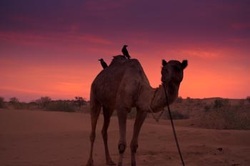 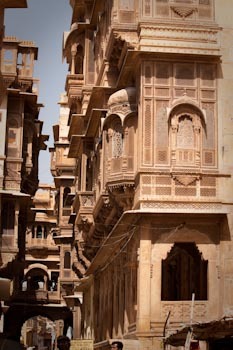 Of all the places I visited in Rajasthan, Jaisalmer was my favorite. 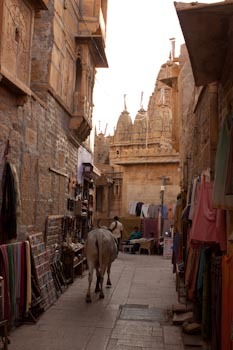 With its living fortress dating back to 1156, residents in colorful traditional costumes, and cows ambling through the narrow streets, I felt like I could have been transformed back hundreds of years. 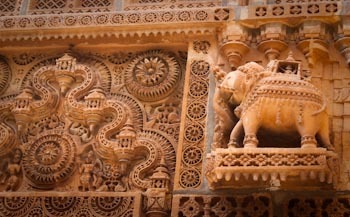 Within the fortress walls and that of the main city, intricately carved havelis show off their lace-like stonework. 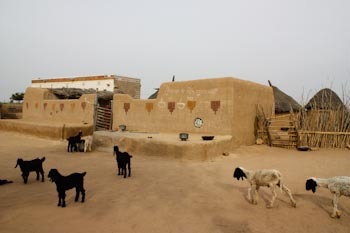 Some of these mansions are now converted into hotels, museums, or crafts cooperatives. 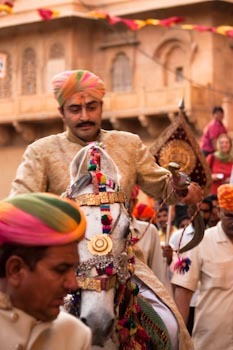 While in Jaisalmer, the Ganguar Festival was held. 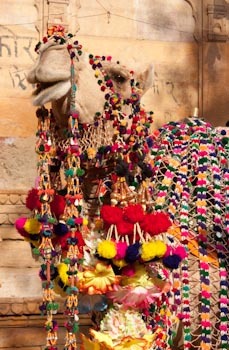 In true Rajasthani style, the event was a riot of color, traditional music, the pomp of the maharaja, and brightly decorated camels.